(Photo: Left) 79th Academy Awards director Louis J. Horivitz (left) and Jean Hersolt Award honoree Sherry Lansing at rehearsals for the Academy Awards ® for outstanding film achievements of 2006. More Behind the Oscar's Scenes Gallery Photos. 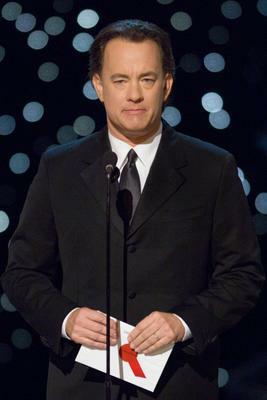 Tom Hanks was a presenter for the 79th Academy Awards®. Academy Awards for outstanding film achievements of 2006 presented on Sunday, February 25, 2007, at the Kodak Theatre at Hollywood & Highland Center®. The Oscars® was televised live by the ABC Television Network at 5 p.m. PST (8 p.m. EST), beginning with a half-hour red carpet arrivals segment, "The Road to the Oscars." Read more. Number of times Ellen DeGeneres has hosted the Academy Awards show: This will be her first time. [The Governors Ball was not held for the 40th Awards] Since the first Governors Ball, following the 30th Academy Awards, number of times there has not been a Governors Ball: 1 (40th Academy Awards) Size of the Grand Ballroom at Hollywood & Highland Center 25,090 square feet.